Machine building - Reesink Production B.V. Mechanical engineering is always about precision work. When it comes to mechanical engineering, products for a wide range of industries spring to mind, such as agricultural machinery, hook-arm systems and stacker cranes. The exact nature of the work carried out by Reesink Production varies from one product to the next and from one customer to the next. Reesink Production develops and produces complete private label machines, for example, including commissioning at the end customer's premises. We also supply welding parts and/or assembled semi-finished products directly to the production line of our (OEM) customers. It goes without saying that all orders are meticulously produced in accordance with the drawings. In many cases, Reesink Production's extensive experience in mechanical engineering leads to an advisory role with regard to construction and assembly possibilities. KAWECO is the private label of Kamps de Wild in Zevenaar. Which supplies a wide range of manure tanks, fertiliser machines and silage wagons. The KAWECO products are developed and produced entirely by Reesink Production and delivered to the end customer via the Kamps de Wild dealer network. Please visit www.kaweco.com and www.kampsdewild.nl for more information about Kaweco and Kamps de Wild. 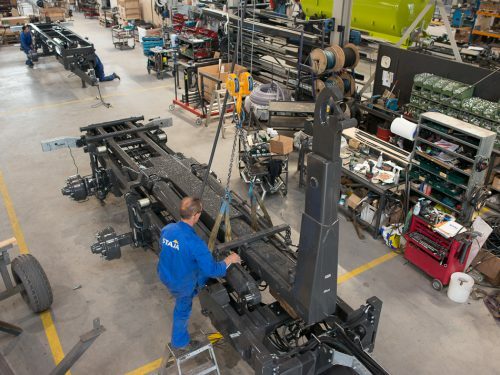 The TopliftStaja brand originated from the collaboration between Reesink Production B.V. and A.S. Pol BV/Toplift in Bruntinge. TopliftStaja brings a complete line of container carriers from 16 to 30 tonnes to the market. This product line is characterised by its very solid construction and complete execution. Reesink Production executes the development, complete production, service, and financial administration for this construction line. Please visit www.topliftstaja.nl for more information. 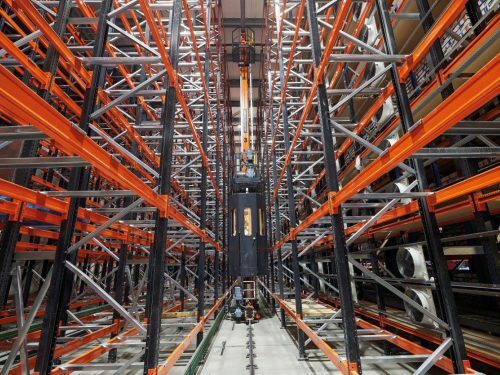 The need for modernisation or further automation of your warehouse can occur at any time. RLS is the go-to specialist for automation of your warehouse and provides a total solution to suit your business. Reesink Production supports RLS in the field of efficient production of warehouse systems. If your production is in need of quick upscaling and you are looking for an efficient partner, please contact us free of obligation. We will be happy to help you find the best solution!